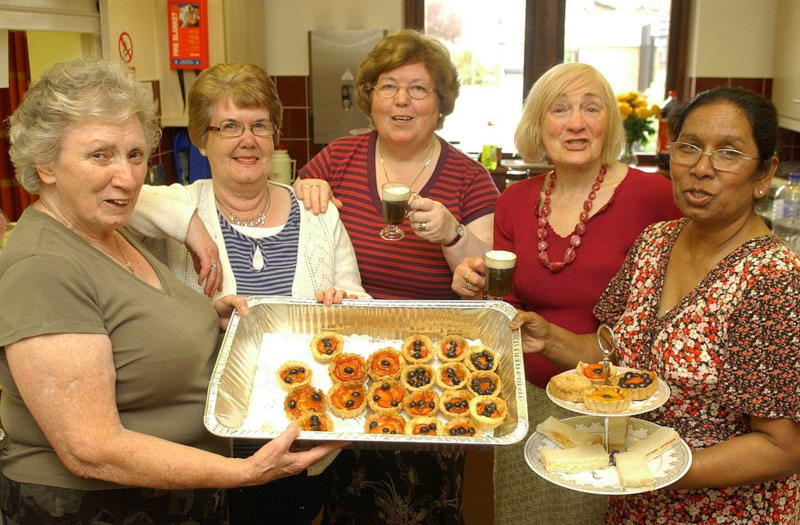 The Diamond club aims to tackle isolation for older people and caters for around sixty members with weekly meetings held each Tuesday at the Holy Cross Church. It costs £2.50 to attend each meeting. There is presently a waiting list for new members. For more information please drop us an email or call 0208 698 4731. The club that meets at Hartley Hall in Culverly Road has been providing, with the support of a Catford South assembly grant, a Zumba Gold exercise class every Tuesday for the last year. Over 35 local residents 70- 92 year olds plus Holy Crosses parish Priest who is the youngest but not necessarily the fittest, strut their stuff and exercise to the sounds of Latin and Caribbean music. The class has been extremely popular and is led by the effervescent Joanne who always has a smile and a hug for everyone. The grant has now been used but the Diamonds continue to show their love of the class by self-funding it. The club also hosted a New Year lunch for 75 older people including housebound members of the community. One of the participants wrote this poem. The Diamond club brought New Year in with Saturdays great dinner, with food and drink to make one blink, for me it was a winner. We sang the carols loud and clear the singing filled the hall, and then we prayed for peace on earth, Fr Regus blessed us all. A duo sang us lively songs, we sang, the wine took hold, with fancy hats and lots of laughs, the smiling faces told. We finished with the raffle, or the prizes should I say, and Fr Doug then wished us well and sent us on our way. So raise your glasses Diamond Club, to all the girls and boys, we’re young at heart so let us part.